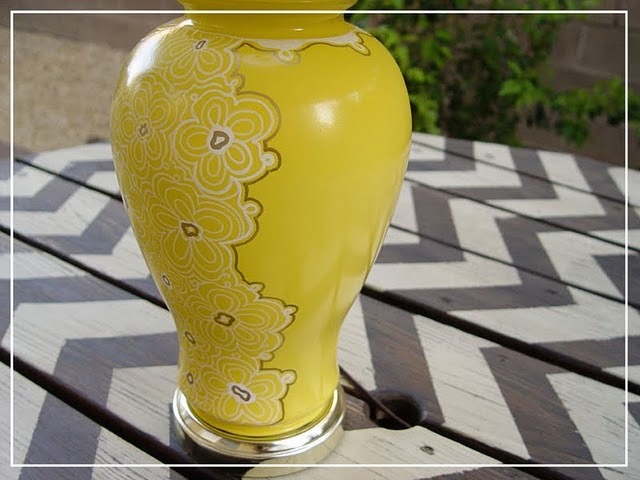 If you are looking for an easy DIY this weekend, how about this paint marker makeover of a thrift store lamp? Maybe you have an old lamp in your garage that needs a little facelift! 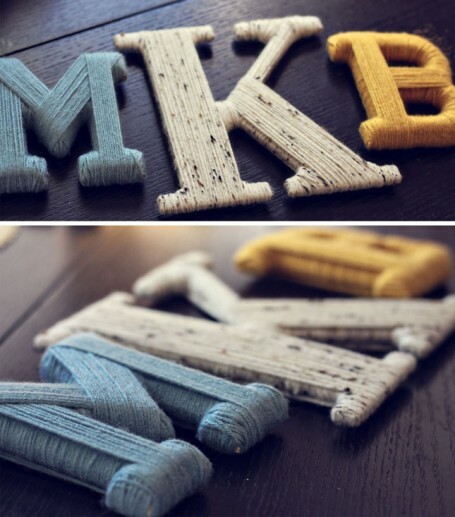 Or how about trying this super cute project: decorate craft store letters with yarn! Check out these ideas and all the other inspiring features from bloggers around the web on the DIY channel at The Inspired Room! And if you are in the mood for browsing some of the best Room Tours on the net, check out what is new this week! Love those teal chairs out on this porch! Don’t miss all the new Room Tours! Happy browsing! Enjoy the holiday weekend! Do you have a home decor project, a great tip for decorating or a complete room tour you want to share, I’m still accepting submissions! Find the submission forms at the DIY and Room Tours pages. Just love the craft store letters with yarn… Makes me think of something that my grandmother would have made for us and evokes quite a feeling “of home” inside me. P.S. – Thanks to you, I’m totally addicted to Pinterest! Have a wonderful weekend! 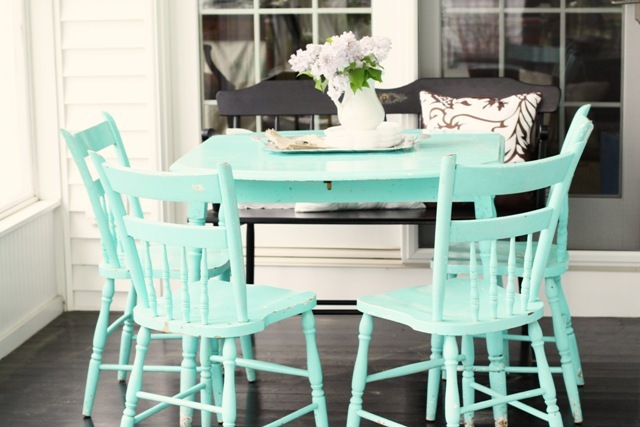 Love those teal painted chairs. Enjoy an amazing weekend! The chairs just make me happy! I’m so honored that our powder room was mentioned among such great projects and room tours. Thank you, thank you! I have two, make that three unused lamps in my basement. All of them need some makeover – some fresh paint, gluing, and stitching on the shades. Kiki’s lamp just gave me an idea of what I will do with my unused lamps. I will paint them in yellow and turquoise with little itsies of flowers – perfect hues for this summer.